For a years in the bodybuilding community the word Bulking has gotten a bad rap. It conjures up images of strong, muscular guys with a hefty layer of fat covering those muscles. For some, it may mean months and months of heavy lifting and eating as much crap as they can shovel into their mouths because, you guessed it, they’re “bulking.” Just because you are focusing on putting on more lean, hard muscle doesn’t mean you have to completely sacrifice your aesthetics as well. You will definitely be putting on some fat while you do this, so don’t get me wrong. But there is a way to do this without eating boxes of Pop Tarts everyday. Putting on muscle is no easy feat – but luckily for you, we have put together a complete guide with diet and supplements, weight training, and cardio to get you there. We all know that adding 5-10lbs of lean muscle will look a lot more impressive than 15lbs of muscle covered by another 25lbs of fat. And let’s be honest – stuffing your face with everything in sight won’t do your health any favors. So if you aren’t going to be stuffing your face with pizza and donuts, what are you going to be eating? Let’s start with how many calories you should consume per day. We will go with a fairly simple method: taking your daily maintenance calories and adding 400 calories a day. This will allow you to gain just under 1lb per week. In order to build muscle, you have to be in a calorie surplus, but not so great that you are adding copious amounts fat as well. The trick is keeping your body from decreasing insulin sensitivity, which inhibits muscle growth. First, calculate your RMR, or Resting Metabolic Rate, which is about how many calories your body burns just by going about its normal daily processes. Then, multiply that number by your activity factor, which accounts for exercise and any other activity you may do during the day to get your total energy expenditure (TEE). Ideally you will space your food into 4-6 meals per day, as protein synthesis is increased by the insulin response to eating a meal. You will want to spread your protein intake fairly evenly throughout the day to take advantage of this as well. Finally, there is a 90 minute window after your training session in which your body uses the intake of protein and carbs to maximize gains by increasing recovery and protein synthesis. This is the “anabolic window” during which you will consume a post-workout protein shake with a carbohydrate supplement (see part four for more info). So what should your meals consist of? In order to get the most out of your diet, you will still stick to clean foods. Meaning lean sources of protein (eggs and egg whites, chicken breast, turkey, greek yogurt, lean beef, etc. ), whole grains (brown rice, wheat pasta, potatoes, etc. ), plenty of fresh fruit and vegetables, and healthy fats (avocado, olive and coconut oil, nuts, etc.). Don’t groan – even though you are bulking you will still be doing cardio. The good news is you only need to do 20-30 minutes of moderate intensity 2-3 times per week on non-weight training days. This is just to keep your heart strong and healthy, allowing for more strenuous weight training sessions. Abdominal training will consist of 4 exercises exercises three times per week for 3 sets each. You may pick from: leg raises, decline crunches, crossover crunches, reverse crunches, Russian twists, variations on planks, etc. Complete 15-20 reps per exercise. If you would like, you can add weight to crunches and twists, just be careful not to add too much as you don’t want your midsection to grow width-wise. This workout split might be a little different from what you are used to. There will be four weight training days and three rest days. On “rest days” feel free to do your cardio. Add in abs as well three days a week on nonconsecutive days where you feel comfortable. We will be keeping reps in the low to midrange at 6-10 reps per set for 4-5 sets after you complete all warm up sets. The most important aspect of the lifting is that you lift at a moderate pace (ie. 2 second eccentric movement followed by a 2 second concentric movement) and lift HEAVY – about 75-85% of your one rep max. Don’t know your one rep max? Lift as heavy as possible without compromising your form – that means no swinging your weights, Tarzan. Rest periods should be limited to 60-90 seconds. Finally, all workouts will consist of straight sets. Nothing fancy, just lift. 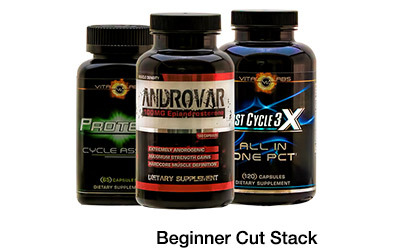 Supplements are like the secret sauce that will help take your weight loss journey to the next level. Often when creating a caloric deficit, your body doesn’t get the full range of nutrients that it needs, no matter how clean or healthy your diet is. Taking a well-rounded multivitamin and mineral will help close any nutritional gaps you may have. 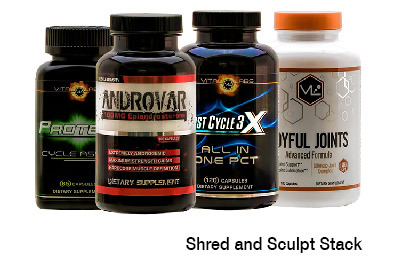 You will definitely want to take a bulking agent – a supplement designed to assist your hormones to increase anabolic activity and muscle building potential. 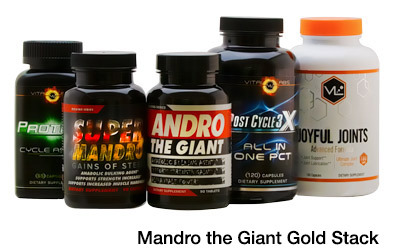 You can add tons of lean mass and improve your strength gains without affecting your natural hormone production with an industrial strength product like Super Mandro, Andro The Giant or Anafuse, when following a proper training program. Taking fish oil 2-3 times per day will help keep your skin healthy and provide important Omega-3s to support brain function which can decline as a result of consuming fewer calories than you are used to. Using a preworkout is also a great way to increase your energy levels when it comes time to train. We all have those days where we feel sluggish or didn’t get enough sleep. Using a preworkout formula will give you that extra dose of motivation to not only hit the gym, but complete your workout with enthusiasm and energy you may not have known you even had. A good, quality protein powder is important after a weight training session to help your muscles repair and recover faster. Stay away from protein “blends” – you want high quality whey or vegetable protein that will provide plenty of amino acids, the building blocks of muscle, straight to your body. Along with your postworkout protein shake, on high carb days you will take a simple carbohydrate formula. On high carb, heavy training days, you will exhaust your muscles glycogen stores. The carbohydrates will go straight to replenishing your muscles at the optimum time for consumption. As with any program, tracking your progress is a crucial component in assessing whether you are headed in the right direction. Take measurements monthly, including weight, chest, waist, hips, arms, and thighs, as well as body fat (can be taken by any knowledgeable personal trainer). Also, take monthly photos in a bathing suit. The camera never lies, and this will help you make sure you aren’t gaining the wrong type of body mass (i.e. fat). So, how long should you be bulking for? Well that depends on a few different factors. Even those who are insanely genetically gifted can only put on a couple pounds of muscle per month. So expecting to gain 10-20lbs of pure lean muscle in a couple months is out of the question. Make sure you are setting realistic goals for yourself. 5-6lbs of muscle in a 12 week period for instance is a reasonable goal. Use your body fat and weight to determine whether you are gaining any muscle. You also don’t want to bulk for too long – gaining and losing body fat will make your body hold onto it more stubbornly. Meaning if you gain a ton of fat around your love handles several times a year, it will become harder to get rid of as time goes on. Once you feel like your body is starting to gain more fat than anything else, it’s time to start reevaluating whether you want to continue or you want to start a new program to show off that newly gained hard muscle. Hi my name is Kieran. I was looking at your site as I want to put on more muscle. About the cardio. What cardiovascular exercises should you use and for how long and what speed and it also says on the weight training to be keeping reps in the low to midrange at 6-10 reps per set for 4-5 sets after you complete all warm up sets. Does that mean for each exercise or just the ones specifically for the warm up exexcuses. If you could get back to me would be much appreciated and can’t wait to start your routine workout! Hi Kieran- Thank you for your question. So long as you are a healthy adult and cleared to do exercise at this level here is what might be done. Do your cardio for 20-30 minutes 2-3 times per week at a moderate pace. That means getting your heart rate up, but nothing crazy (aim for about 65-75% of your max heart rate, which is 220 beats per minute minus your age). This could be done walking on a treadmill, on the elliptical, stair master, bike, or even outside, which is great. For the weights, use the guideline of 4-5 sets of 6-10 reps on every exercise. Complete the warm up sets for one exercise before you go into the 4-5 sets using the listed weight on the plan, before moving to the next exercise. In the five sets are the two warm up sets included in that or are they separate? For leg day, I see the leg press exercise is done twice before leg curls and after leg curls. Is that accurate or do I just do the exercise before or after leg curls? Hi John, Thanks for your questions! First off – great catch! The leg press somehow made it in there twice; it’s correct now. You should only perform it before the leg curls. Second, the warm up sets are not included in the 5 sets. The warm ups are there to pump blood into your muscles and prepare them for the work ahead, hence why they are only in a couple exercises. Again, thank you for the great questions. Thank you! And no problem! I really enjoy doing deadlifts, is there a place for them in this workout? If so what exercise would they replace and what day would they suit, legs or back? Deadlifts are a great exercise, and you can definitely incorporate them. I would suggest replacing the wide grip lat pulldowns with 2 warm up sets and then 4-5 sets of 6-10 reps on back day. Because you will be doing a big compound movement on leg day with squats, you won’t get the maximum benefit of the deadlifts if you do them the same day. Hi Bermiss – Thank you for your suggestion. We actually have videos for each exercise, I’ll have to get with the team and get them posted here. Its just that there are literally thousands of good examples of these exercises on the web. That said, you are right it would be very nice (and convenient) to have them published here.